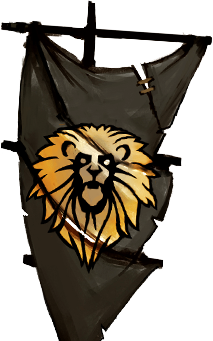 Thanks to the innovation and efforts of the Black Lion Trading Company, you can now show off your trendy side with our new armor skins, honor one of the Order of Whispers’ finest agents with a special new plush backpack, and shred your enemies in the comfort of your own custom arena. We’ve also got items that are on the way out – read on for more details! The summer season is kicking into gear, which means it’s time to update your wardrobe! The Black Lion Trading Company is pleased to present our new line of Aetherblade armor skins, complete with full heavy, medium, and light sets. Start honing your battle skills today with the help of our custom PvP arenas! Custom arenas allow players to host private matches and customize their match settings. These starter kits are now available for all players to purchase. We’ve introduced a new item to Black Lion Chests – now every chest has a rare chance at a Lightbringer Tybalt Leftpaw plush backpack! This fuzzy backpack is especially well-suited for holding apples. Biviane Marriner’s little doll, Polla, is only in the Gem Store until July 1. Stop by the Upgrades category today to pick up this free accessory item! Dragon Bash Items Available in the Gem Store! Special New Items in the Gem Store! Guild Wars 2 Buy Custom Arenas with Gold!